Northamptonshire's Environmental Character & Green Infrastructure Suite. Waterways manangement, reforestation, land rehabilitation & communities. 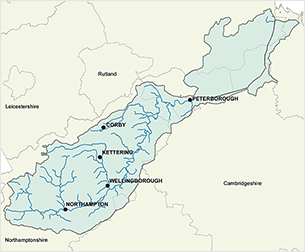 Publications, Nene catchment plans, press releases, newsletter & promotion. Find out what great events the River Nene Regional Park have coming soon. Powerful and effective close partnership working across the sectors with a shared vision has been the key to RNRP since its establishment in 2004. 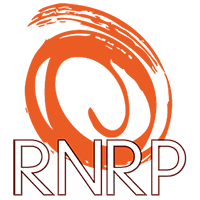 RNRP’s website, its projects, its publications, its workshops, its events and the level of stakeholder engagement all demonstrate its success. Through these initiatives, RNRP has assisted and encouraged other organisations to more effectively deliver social, economic and environmental benefits. Celebrating the First Year of Resilient River! New CSF Officer for Nene & Welland, Peter Brown, talks us through everything you need to know about grants, and the help available for farmers in the catchment in 2019. It has been a very hectic first year for our Heritage Lottery-Funded Nenescape Project, and we are delighted with the progress made and support received from our brilliant partners. We are delighted to bring you the Nenescape year one newsletter. Resilient River Update: Barnwell Inner Backchannel & Whitemills. River Nene Regional Park is delighted to report the following progress and improvements to Barnwell Inner Backchannel and Whitemills as part of our ongoing Resilient River Project. RNRP’s brand has become known for quality and innovation as it promoted green infrastructure and raised the profile of Northamptonshire, highlighting the quality of its environment, design and the delivery of sustainable development. For the latest in creating a green infrastructure network of environmental projects extending from Daventry to Peterborough. trading as River Nene Regional Park: a company limited by guarantee and a community interest company.